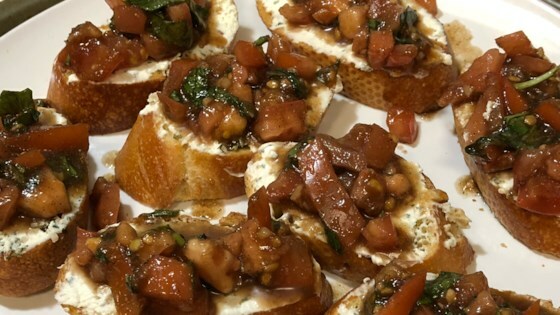 "Bruschetta makeover is what I call it. The flavor combination with the tomatoes and cream cheese is perfection. This appetizer goes a long way - another crowd pleaser, that's for sure." Yum! We marinated the tomatoes overnight and they were delicious. Thanks for the recipe! Making it again tonight, so tasty! Loved this bruschette recipe! Have made it a couple of times and am complimented every time! !